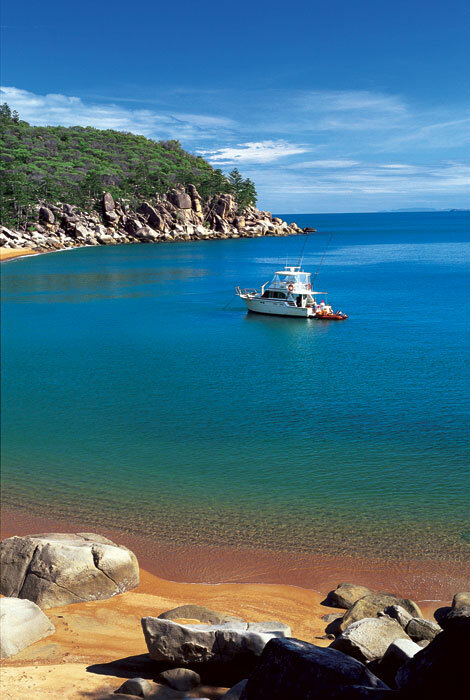 Just 8km east of Townsville, “Maggie” is one of the few islands within the Marine Park with a permanent residential population. Popular with families, singles and couples seeking a laidback holiday, residents and holidaymakers reside in four small beachfront villages. Surrounded by National Park and green space, villages are linked by a single speed limited road. A mountainous island with a 25km web of bushwalking trails among granite tors and forest, 500m tall Mt Cook dominates. Walks vary from an easy 30min Picnic Bay stroll to the more challenging cross-island walk between Nelly and Horseshoe Bays. Trails brush past sweet-smelling eucalypts, home to northern Australia’s largest wild koala colony. Rock wallabies are often seen bouncing across rocky outcrops and are particularly active during dusk at Geoffrey Bay and the Nelly Bay Harbour seawall. With 20 bays and beaches bookended by granite boulders and towering hoop pines, popular beaches like Horseshoe Bay or the intimate rock boulder cove of Alma Bay can be easily reached by road. Others such as Five Beaches Bay can only be accessed by boat or foot. The best snorkelling is off the beach at Arthur and Florence Bays. 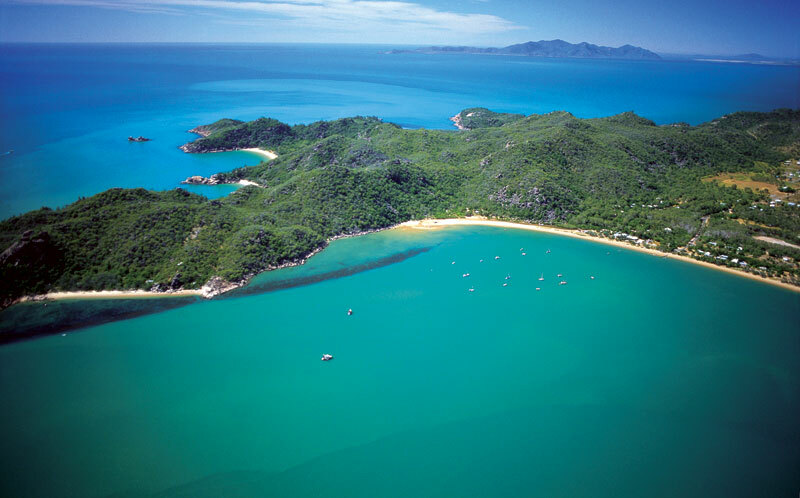 Boat trips depart from Magnetic Island Marina, which is also home to some of Maggie’s newest waterfront apartments, Mantra One Bright Point (http://www.brightpointelite.com.au/). Satisfy hunger pangs at Barefoot Art Food Wine overlooking Horseshoe Bay, a terrific restaurant within an art gallery, though table service can be disappointingly inadequate. Sometimes it’s best to follow the locals to the open-sided deck at Swenson’s Restaurant at eco-accredited Bungalow Bay Koala Village (www.bungalowbay.com.au). 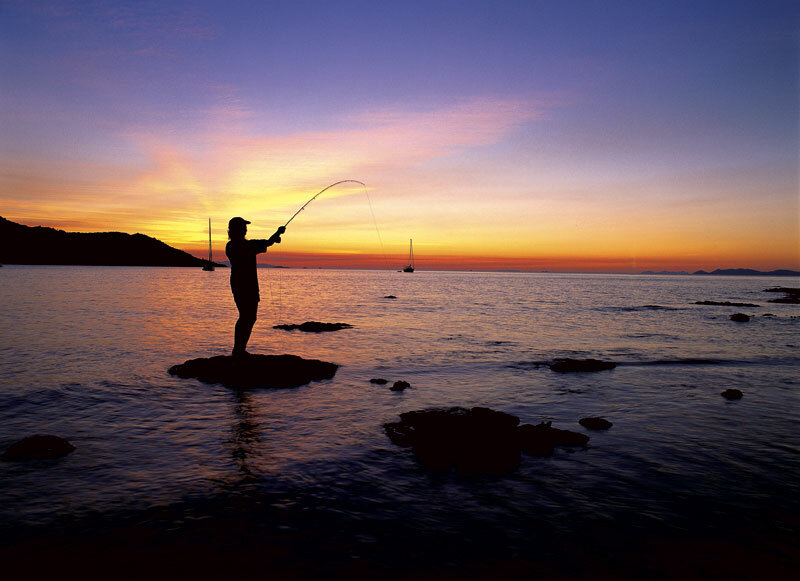 A tightly held secret among scuba divers, Flinders Reef is 230km northeast of Maggie. A barely visible sand cay, commercial dive operators recently took Flinders off the itinerary, so for now it’s the sole domain of adventurous offshore voyagers. Getting There: Car and passenger ferries depart daily from Townsville.